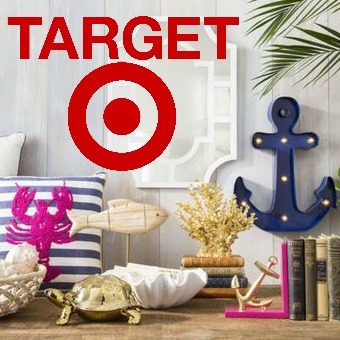 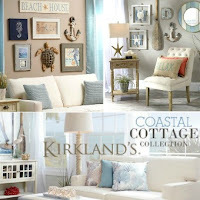 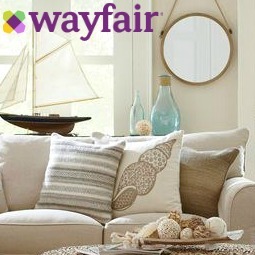 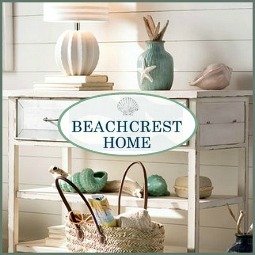 No matter what the color trend, we turn to the shore when looking for room color schemes and paint color ideas. 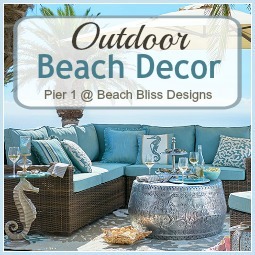 The ocean and the beach are an open space of beautiful colors and textures. 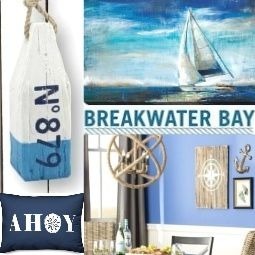 The sea is an ever changing play of blues and crisp whites, rolling up to a beige or white sandy beach, a pebble beach, or a rocky shore. 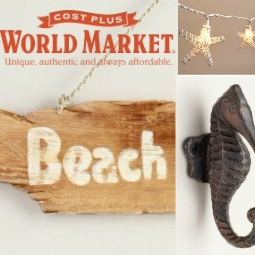 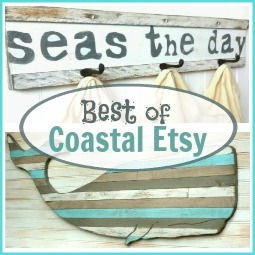 And along with it, all kinds of treasures wash up, most commonly Seashells, Driftwood, and Seaglass. 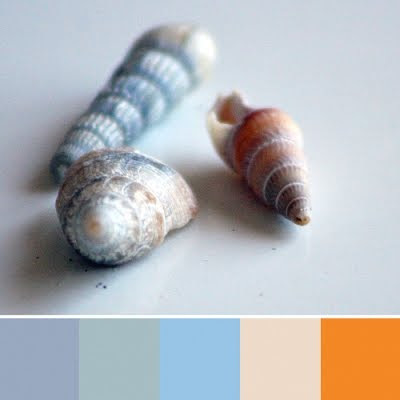 Shells can display a wide range of beautiful colors that harmoniously blend. 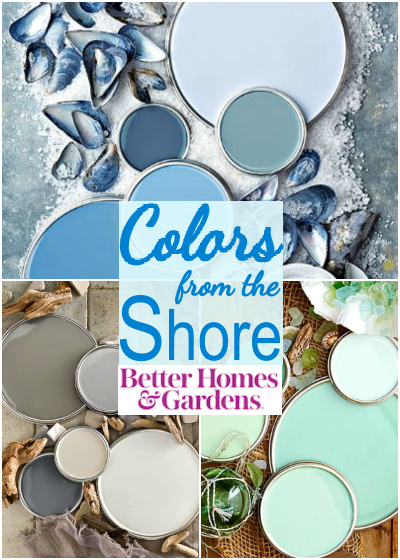 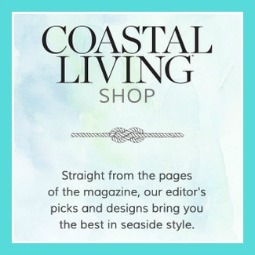 Coastal Color Ideas from the Shore by Better Homes & Gardens. 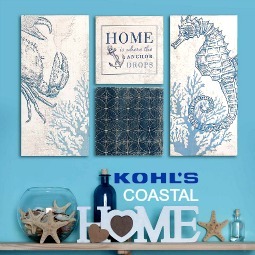 Blues, seaglass greens and warm grays. 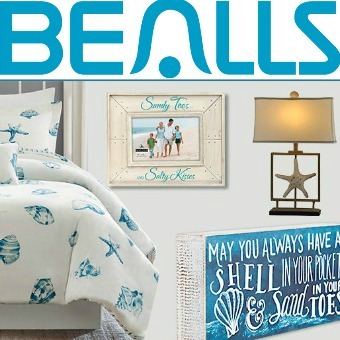 Blues with a little gray reflect an easy going beach vibe. 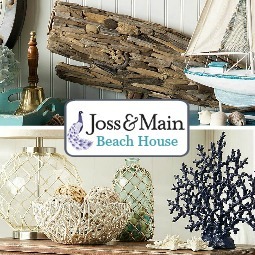 Natural seagrass, darker wood, and classic black and white work beautifully with this palette, designer Nate Berkus says. 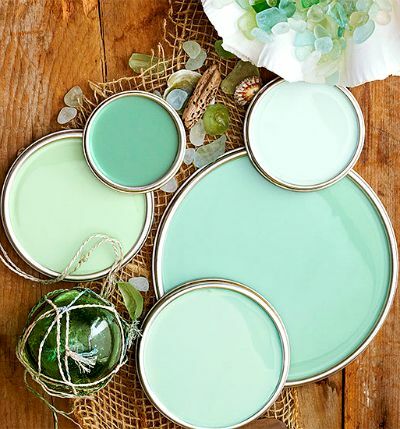 Seaglass Green, a color scheme consisting of blue-green hues. 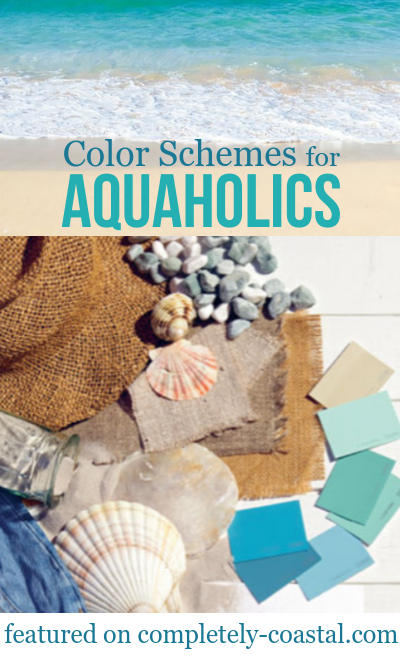 If you go too bright with this beach color scheme, you’re heading into turquoise or mint, designer Sasha Emerson points out. 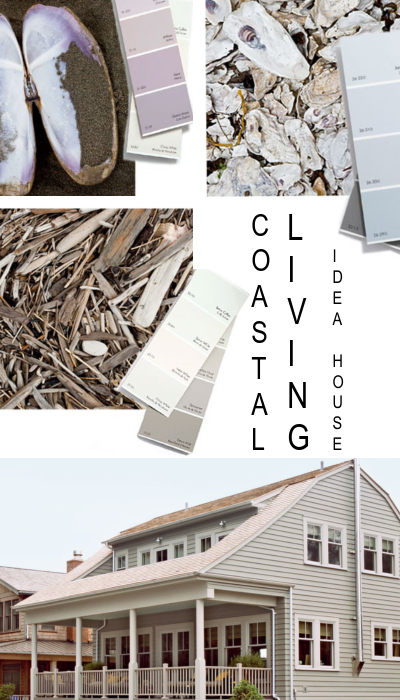 Warm Gray, a color you see in beach pebbles and driftwood. 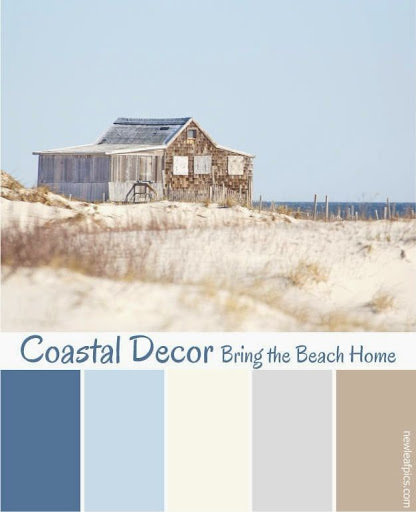 This beach color palette also reminds of a quiet overcast day on the beach. 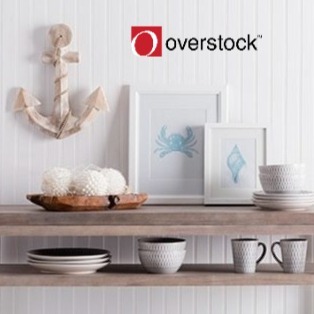 Warm gray is neutral and timeless, more complex than cream or white, a soothing backdrop or to set the perfect scene to pop a bright accent color. 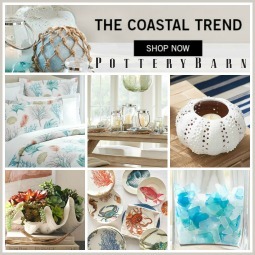 Decorated in a muted Coastal North West color scheme, they used a color palette derived from local shells and driftwood. 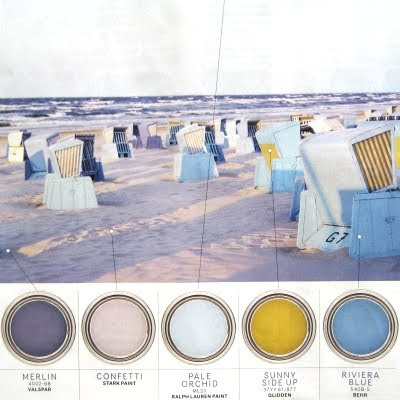 Beach photograph & paint color idea from New Leaf Pics. 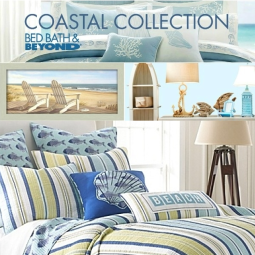 The combination of ocean blues and sandy hues is a Classic Coastal Color Scheme. 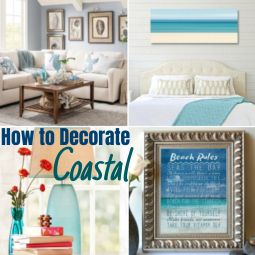 Coastal color schemes are not limited to nature (sea, sky, sand, shells, etc. 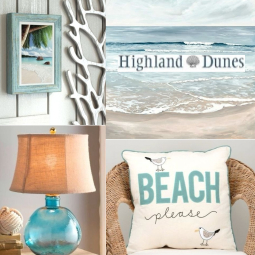 ), we can also capture the feeling of a favorite spot and ambiance by drawing inspiration from its beach culture; in this case, the giant wicker chairs on Germany's North Sea. 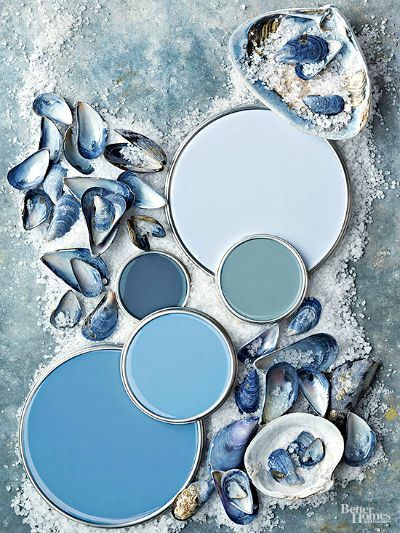 Photograph by Rafael Neff, featured in the February issue of House Beautiful. 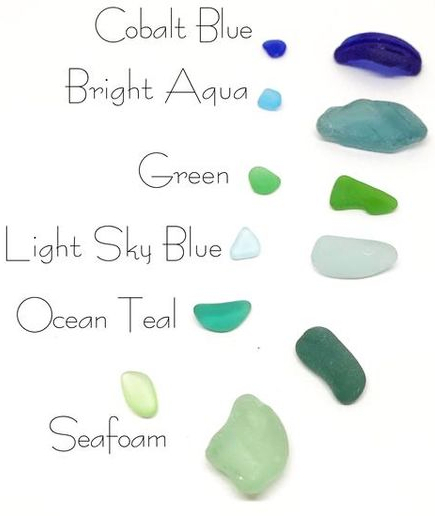 Seaglass color inspiration from Peace of Hawaii. 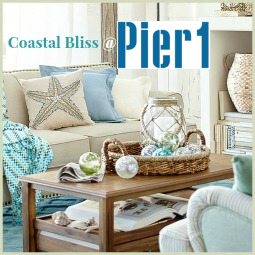 If you turn to the shore for room color schemes, you don't have to figure out which colors work together. 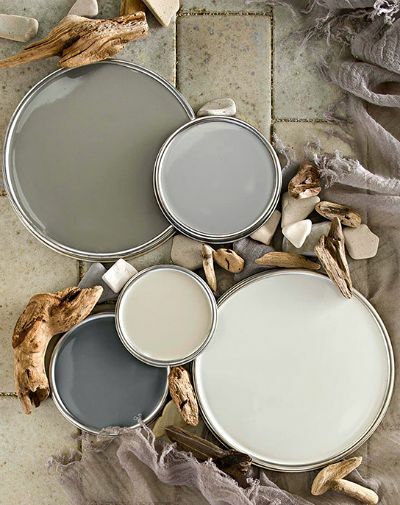 Nature's color combinations are perfect.